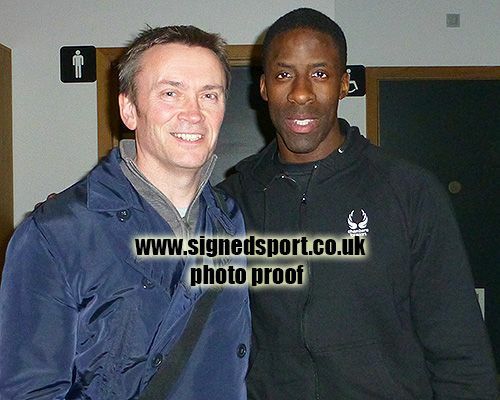 Dwain Chambers 100m sprinter signed 12x8 inch photo. 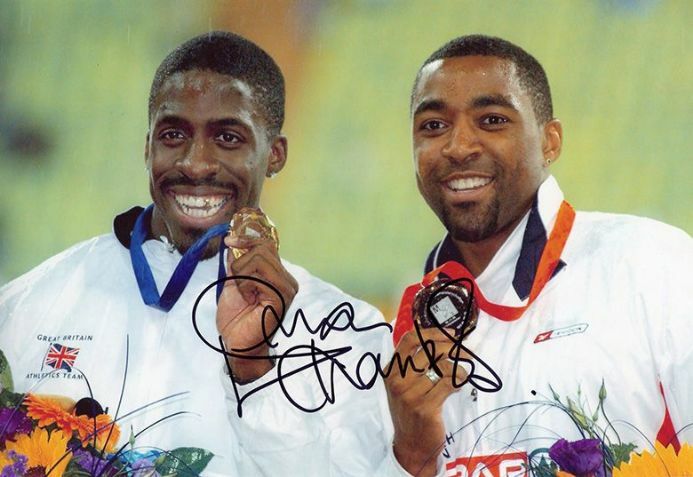 12x8 inch colour photo personally hand-signed in black sharpie pen by English sprinter, Dwain Chambers. Chambers has won international medals at World and European level and is one of the fastest European sprinters in the history of athletics. His primary event is the 100m, in which he has the third fastest time by a British sprinter. He is the European record holder for the 60m and 4×100m relay events.